We wanted to make a rustic garden, using natural materials that would form something unique, so we asked Thistlefield if they could help. 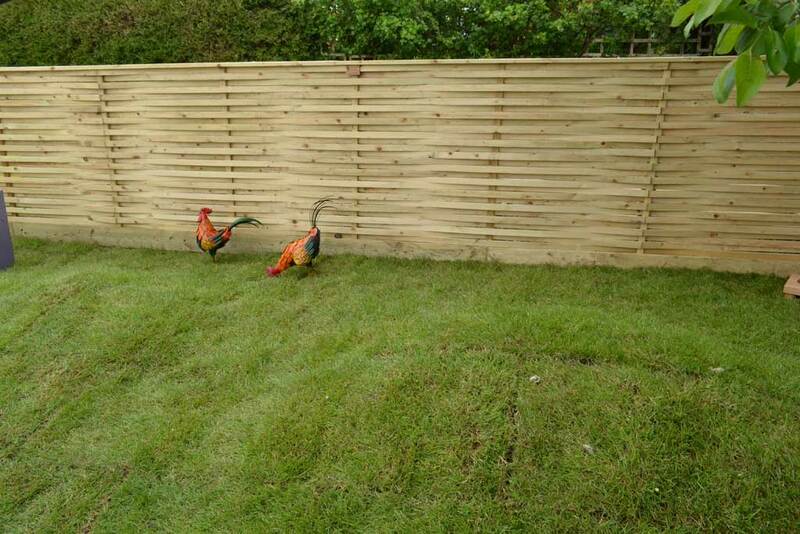 They arrived with a van load of timber and began to make their Woven fencing on site and it looks amazing. 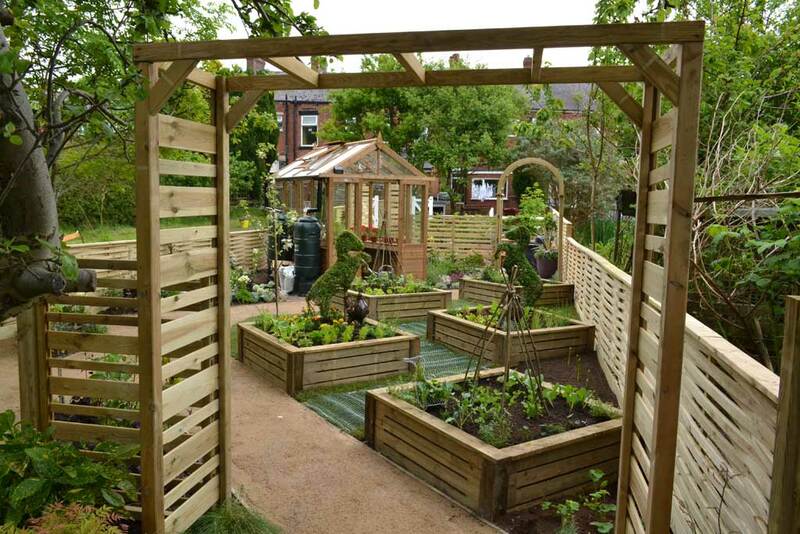 As Caroline’s garden was so long, the team wanted to divide the garden up into different themed sections, with an archway halfway, under which a bench would be sited, to enable Caroline to have a rest and admire the view of her new garden. 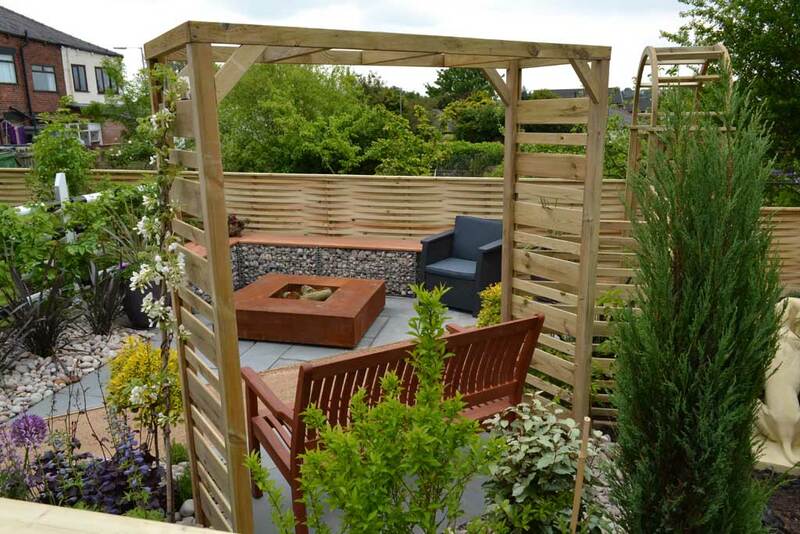 We chose Grange Fencing’s Urban Arch as its proportions are perfect to site a bench under. The clean, sharp lines featured make this garden arch perfect for defining gardens. We concreted it into the ground, however, you don’t need to affix the Urban Wooden Garden Arch into the ground it will stand alone if warranted. Why not finish off this Timber Garden Arch in one of 4 charming colours – new for 2016. 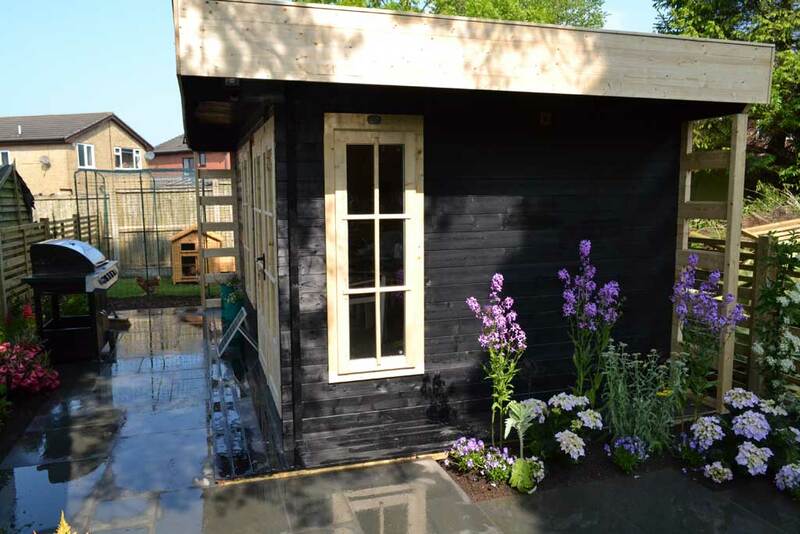 The Urban Arch retails at £149.99, please see http://www.grangefen.co.uk/garden-structures/arches/urban-wooden-garden-arch.html for more info and how to choose the colours available. Caroline will be doing a lot of gardening whilst seated in her wheelchair, so we decided to install heavy duty raised planters so she can tend to her vegetables. These measure 4’ by 4’, and offer 360 degree access, so no reaching or stretching for Caroline as she picks her freshly grown vegetables. The planters are Heavy duty, made from 75x50mm section timber, pressure treated to protect against rot, can be painted or stained if desired and are easy to assembly. 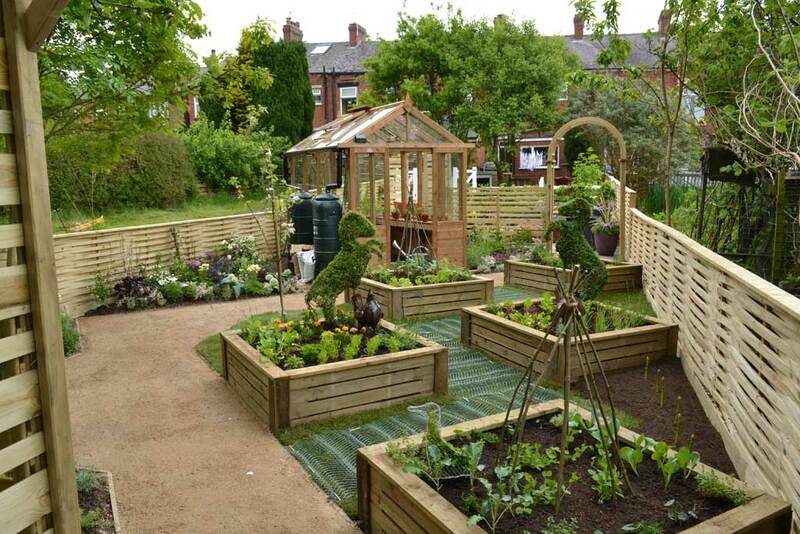 We needed a focal point in the vegetable garden to ‘draw the eye’ in to this section of the garden. Caroline used to work for the RSPCA and loves horses and was a keen horse rider, so Alan and the team thought some rearing horse topiary pieces in her garden would be an excellent feature. Caroline wanted a social space in the garden to entertain her friends – somewhere that reminded her of her Mediterranean holidays, Alan and the team chose this fire pit because its square design echoed the sharp corners in the garden design. 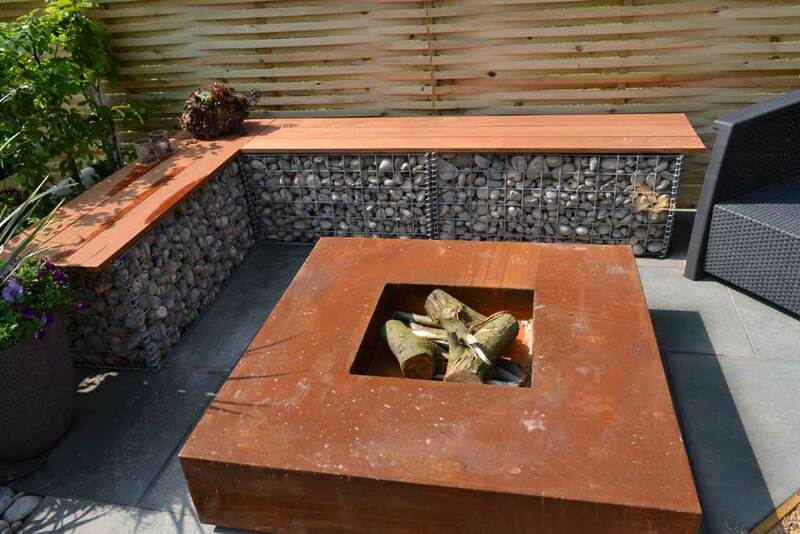 These high quality fire tables are made from 3mm thick Corten Steel. Corten Steel is a strong and weather resistant material that covers itself with a protective layer of rust when it is exposed to the open air. This fixed coating of rust provides protection against further corrosion. There are holes in the base of the fire table for maximum air flow.